Pregnancy and birth are rites of passage in a woman’s life, preparing her for the timeless challenges and gifts of becoming a mother. Through yoga, a pregnant woman learns to listen to and trust her body, while fostering a deep connectedness with her growing baby. Embracing nature’s perfect design, women can thrive, heal and evolve through pregnancy and birth and new motherhood. . Whether you plan to teach or not, this stand alone foundation course course offers fascinating learning on the mystery and majesty of the female body during the most poignant phase of physical transformation. This course can also be applied toward our 85-hour prenatal training and our 300 hour YTT Program. Ever wonder what happens to the female body during pregnancy, birth and beyond? 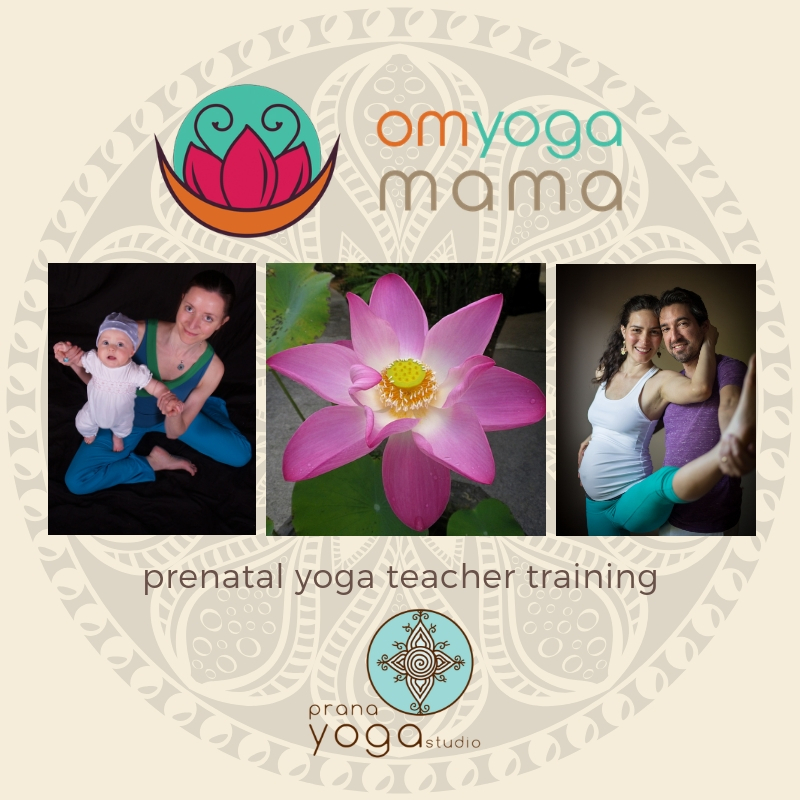 Do you wonder how to safely teach postures and breathing techniques to expectant mothers? An overall feeling of confidence in the ability to teach prenatal yoga classes. Any person wanting to dive deeper into prenatal knowledge while learning the skills to teach prenatal yoga, as well as those who want to learn how to safely guide expectant moms in their regular yoga classes are invited to take this training series. Yoga teachers, Midwives, doulas, childbirth educators, expectant mothers, health & wellness practitioners, therapists, doctors & nurses also welcome! This 25 hour training fulfills the Yoga Alliance requirements for Continuing Education as a stand alone course. It also applies toward Prana’s 85 hour YA prenatal certification, and is an elective module for the Prana 300 hour Yoga Teacher Training. Led by Soledad Agosto, Leala Enfield & Amanda Whiting, this prenatal training will create a deeper understanding into the care and safety required when teaching expectant mothers.